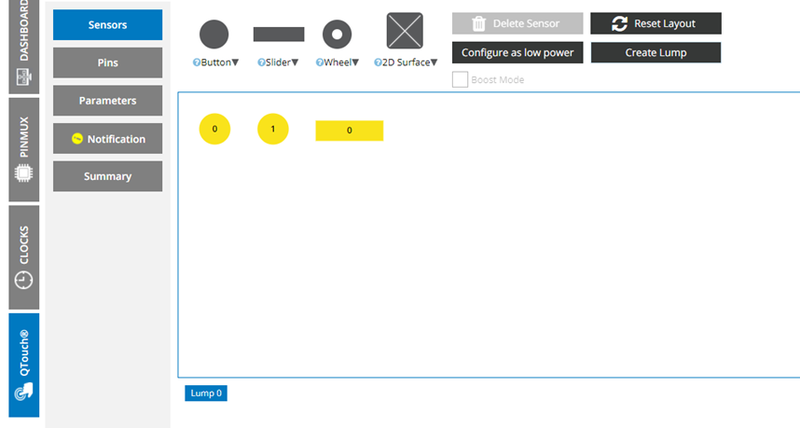 The following step-by-step guide shows you how to create a lump project in Atmel START. This project is generated using the ATtiny3217 Xplained Pro along with the QT7 Xplained Pro Extension Kit. A lump is a group of two or more buttons, sliders, or wheels (in any combination) that can also be created as a low-power sensor. 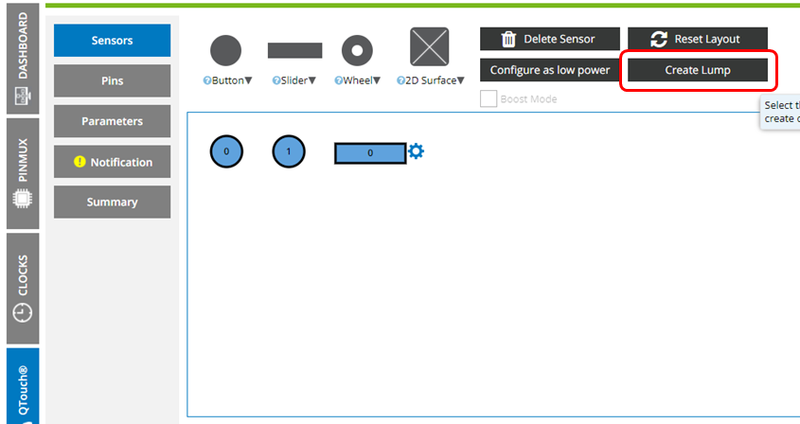 Add the QT7 sensor configuration (i.e., 2 Buttons, 1 Slider) to the QTouch® device canvas page. Refer to the "Generate User Board Touch Project" page for more details on how to create a START Project. 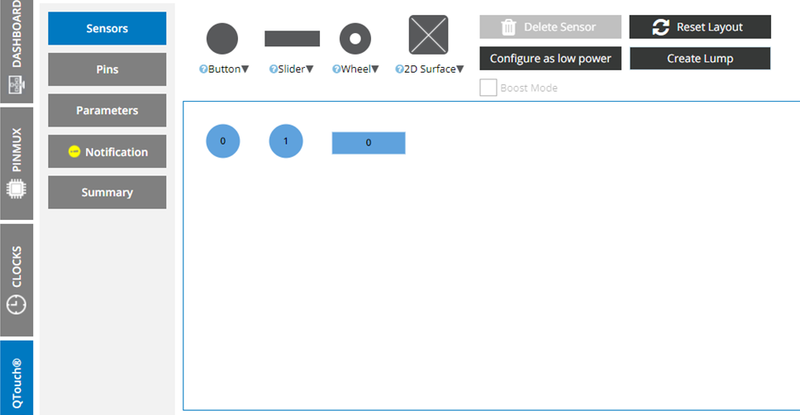 By using your mouse, click-drag and select the sensors to be configured as lump sensors. Right-click the selected sensors and click ‘Add Lump’. After enabling the lump, the Lump number will be displayed at the bottom of the page. The lumped individual sensors will be displayed in yellow when the mouse cursor is placed over the Lump number button at the bottom of the page. The sensor saturation must be taken care of while handling the lumps. The lump sensor threshold should be the same as the low-power detect threshold.